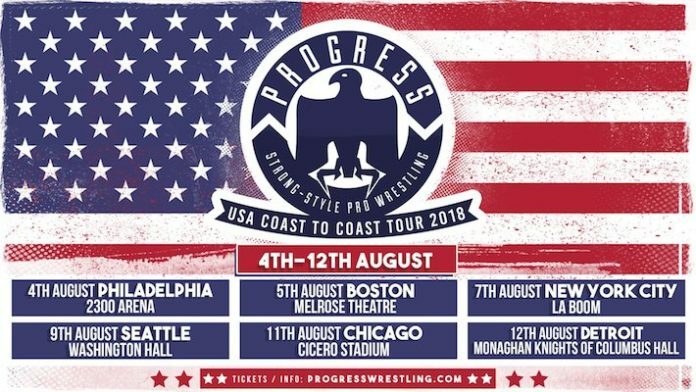 PROGRESS are currently touring the United States hitting some top independent arenas from August 4th-12th. Last night saw the company hit the historic ECW Arena in a show headlined by Jimmy Havoc and Rickey Shane Page. The company will be hosting an event at Boston’s Melrose Memorial Hall tonight with a bell time of 8pm.